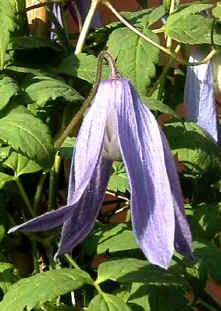 Frances Rivis clematis: powder blue flowers. Powder blue flowers will fill your outdoor living space with charm. No pruning needed, disease resistant, very winter hardy. Frances is SO easy! and we are delighted to be able to share her with you.